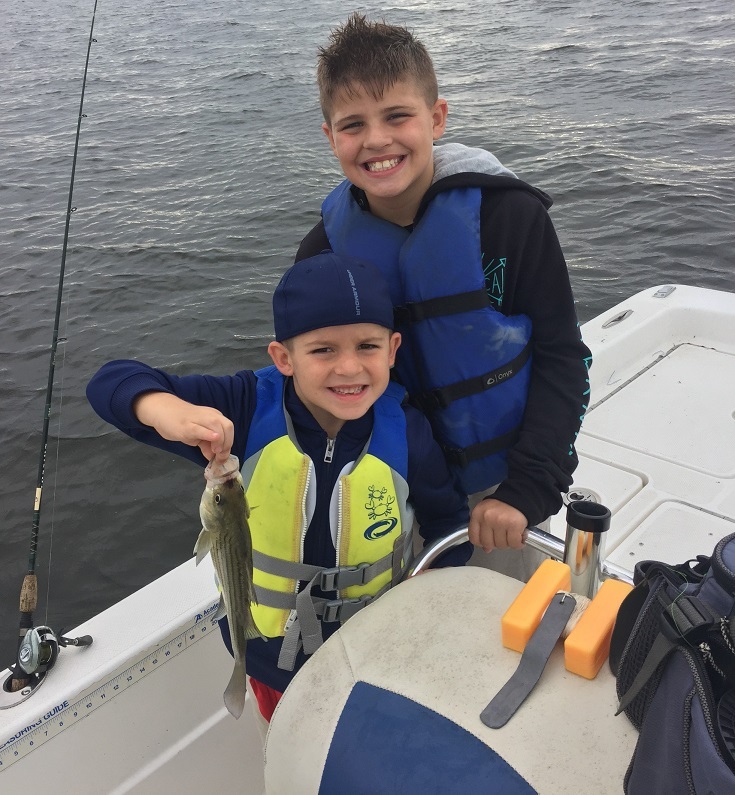 CC Lake - White Bass/Hybrid Stripers have seemed to turn back on for us lately. 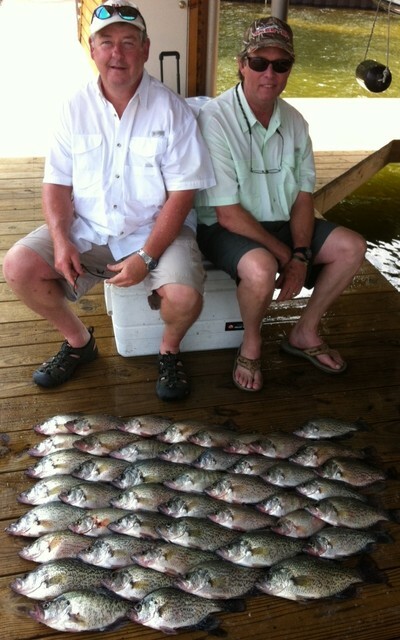 Yesterday we caught lots of white bass/ sandbass & hybrid stripers. Our water has dropped to 53 degrees and thats what they wanted to start feeding again. If your looking for some big hybrid stripers or just wanna come out and have fun catching white bass/sandbass then give us a ring. 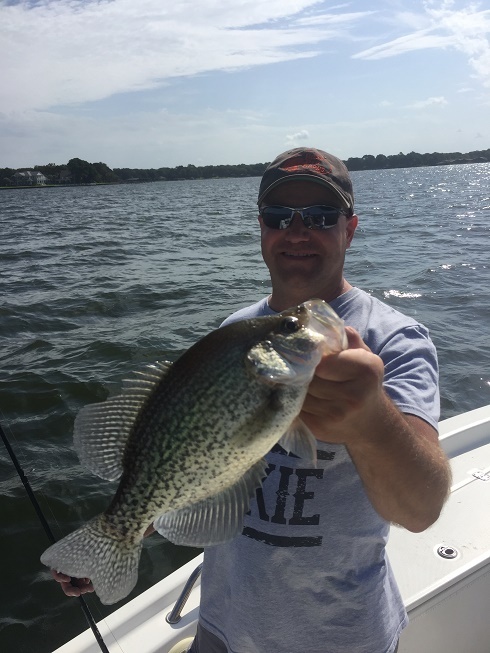 CC Lake crappie - We are catching some in 15-25ft of water but you have to be patient. 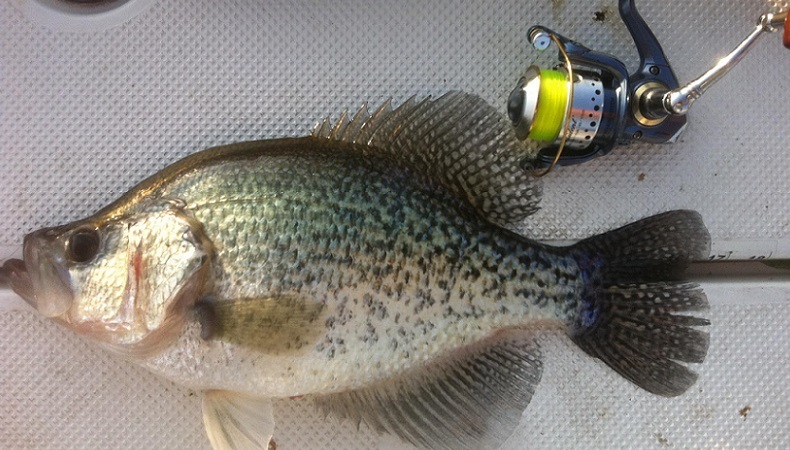 With the water temp at 53 our crappie have certainly gotten tough for us. It's earlier than normal since we normally stay on them till late December. Lake O Pines - About to get really good, a few more degrees of water temp drop and they will be stacked up in deep water. We ran a trip there Saturday and the bite was slow. I would expect it to get good in about two weeks. 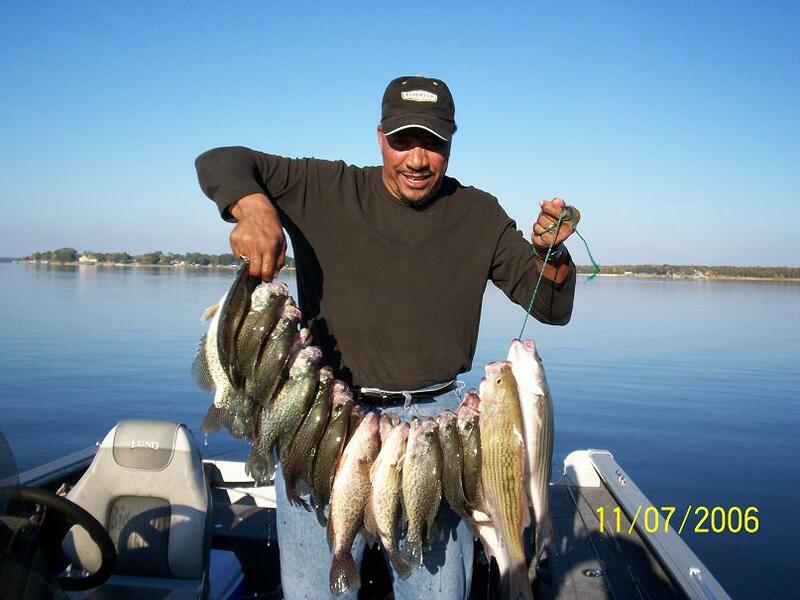 Ray Roberts - Slow, lots of small crappie but keepers have been limited. The sandbass have been good though. 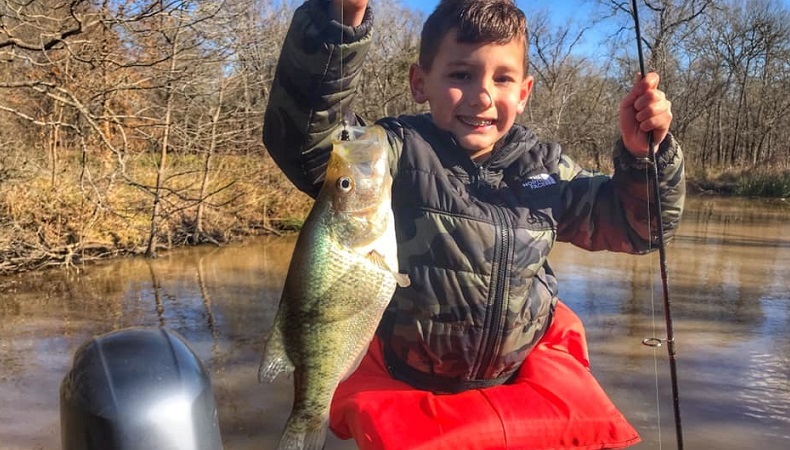 November - Our Crappie bite has finally gotten excellent again. 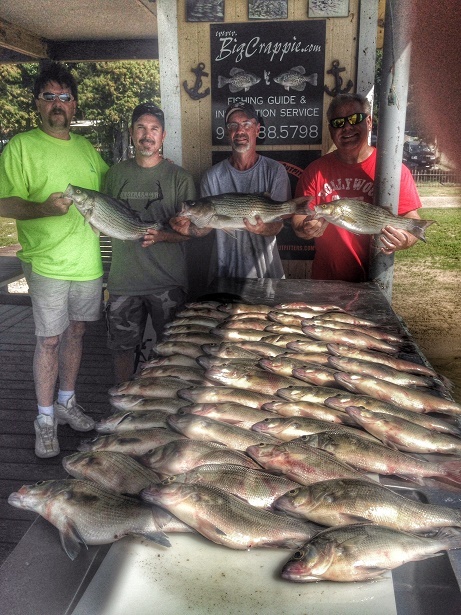 We've been catching lots of nice quality fish over brush tops with Jigs and Minnows both. Our water temperature is in the mid 60s and the lake is about 6 foot low. If you were planning on coming out this fall now is the time to book. The bite should stay good until about middle of December. 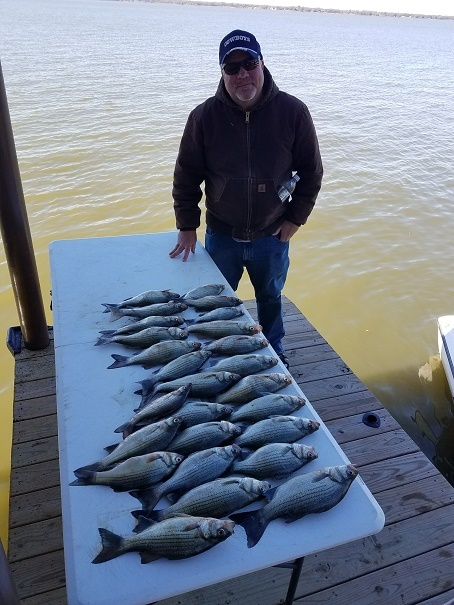 By mid December our water temperature should drop to about 50° and the bite will begin to slow down for Crappie, but our White Bass bite stays good all winter. 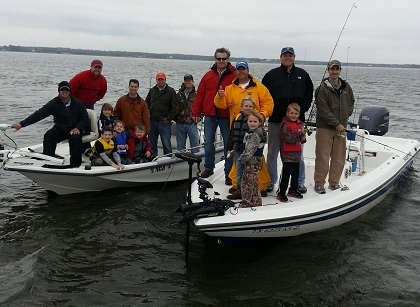 We will start running trips on Lake of the Pines by mid to late December. 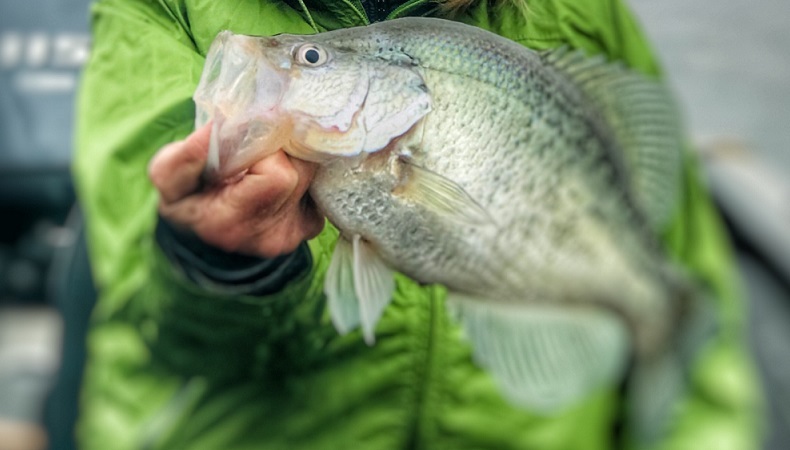 The colder the water temperature gets the better the bite gets on that lake. 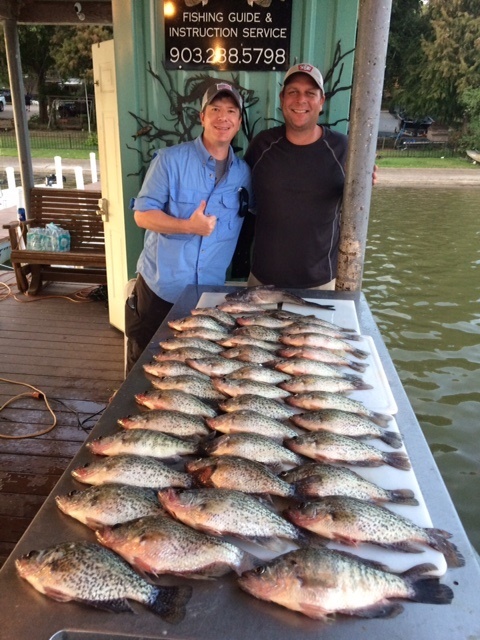 Limits of Crappie are normal for the winter pattern on Lake O Pines. 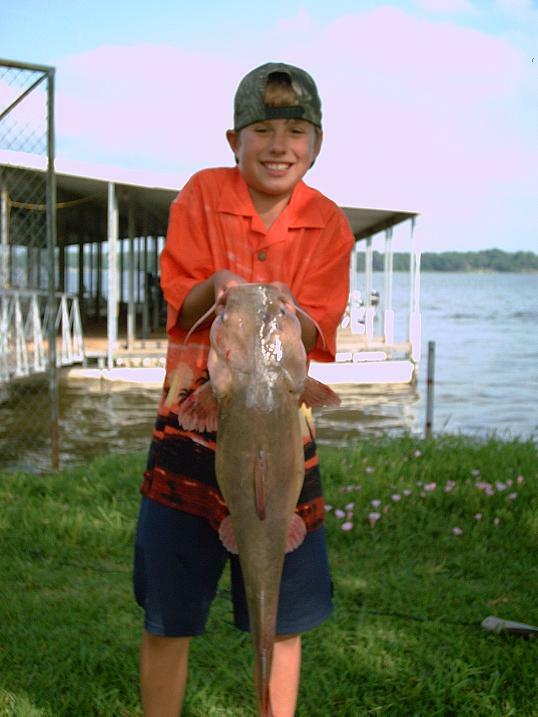 Also expect for us to start running some trips on other popular North and East Texas Lakes.